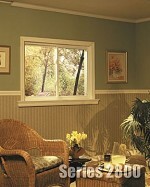 Silver Line Windows sets the standard for safety and innovative engineering in the home building products industry. With combined product line sales, Silver Line is the largest vinyl window producer in the nation, known for innovation and value. Silver Line manufactures windows for New Construction, Replacement Windows, Aluminum Windows, Patio Doors along with a full line of Weather Stopper™ Impact-Resistant Windows.